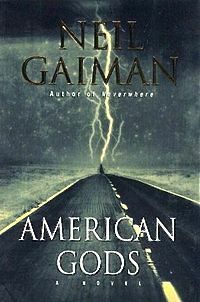 Almost anyone who reads Neil Gaiman’s 2001 novel American Gods dreams of hitting the road following the route Shadow takes through the Midwest. Last week marked the ten-year anniversary of the book’s first publication. Here are six essential locations to seek out so you can live Shadow’s journey. 1. House on the Rock, Spring Green, WI. The first major stop in American Gods—the stop that solidified to the reader that Shadow is caught between two worlds—is House on the Rock, outside of Spring Green. This dizzying roadside attraction makes it easy to believe there are multiple realities layered atop one another, with dioramas, music machines, and architecture jumbled and smashed together. The gaudiness is as thrilling as it is unsettling. Though the owners of House on the Rock had no idea that their attraction played a role in the book when it first came out, by 2010, they were hosting a three-day event inspired by the book over Halloween weekend. Make sure to walk the length of the Infinity Room for the sensation of hovering over the landscape. Toss a token into the Drunkard’s Dream for a glimpse of “the world as it is,” according to Czernobog. And as the carousel spins before you, close your eyes. It won’t be hard to imagine being transported into the mind of the All-Father. 2. Cairo, IL. Cairo provided a gritty backdrop for Shadow’s descent into the volatile life of the Gods. At one time, this town of under 3,000 residents gained economic prominence as a shipping port at the convergence of the Mississippi and Ohio Rivers. During the 2011 flooding, it nearly disappeared under water. Levees to the north were blown, flooding hundreds of acres of farmland. This crumbling little town has a bit of a literary history, however: American Gods is not the first book to include the town. Cairo was Charles Dickens’s inspiration for the town of Eden in his novel Martin Chuzzlewit, and the port town appears several times in Mark Twain’s tales. 3. Fictitious town of Lakeside, WI. The real Lakeside bears no resemblance, either geographically or physically, to the Lakeside in American Gods. There is some debate about which town (or towns) Gaiman used to fill out the details of the village Shadow hid out in through the winter. Some of the front runners include Pelican Lake and Rice Lake, both small lakeside towns near the correct geographical area. Many of the details, however, seem to come from the city of Menomonie, WI, just south of I-94 and west of Eau Claire. To get a feel for the literary landscape, take a walk across the bridge and along the shores of Lake Menomin. In the winter, the lake will appear much as it does in the book, bristling with ice fishing huts and pickup trucks. One building will look familiar to readers of American Gods: the castle-like Mabel Tainter Memorial Theater. While it offers only a reading room, this unique stone building bears an uncanny resemblance to Lakeside’s library. Mabel’s may be a theater rather than a diner in real life, but you can still walk down the street for a pie at Kathy’s Diner. 5. World Tree (one hour south of Blacksburg, VA). This is your chance to embark on a self-guided tour of the Virginia countryside. Finding the World Tree could be a road trip in itself. The clues from the book are both vague and cryptic. Shadow and his companions, Czernobog and Mr. Nancy, drive about an hour south from Blacksburg (though Shadow admits that time has started to lose meaning to him). They have to double back at least once, so it could be anywhere from ten to sixty miles away. As far as finding a huge ash tree on a farm with a barn nearby—there should be only about a thousand of these! One thing is apparent: when you see it, you’ll know it. I’d start in Hillsville and work my way east along the back roads through places with such promising names as Meadows of Dan, the Hollow, and Fairy Stone State Park. Take a break from the search with a swim at Philpott Lake. Happy hunting! 6. Rock City, Lookout Mountain, GA. Rock City is not so much perched on top of as built into Georgia’s Lookout Mountain. It is the perfect place to wrap up a road trip as creepy as the one Shadow embarked on. Once you walk through the turnstiles of this place of power, you may lose touch with reality. The tight squeezes between and around massive rocks only set the stage for what’s to come. After crossing a bridge on the edge of a waterfall, you’ll arrive at Lovers Leap with what claims to be a view of seven states. Move on and you’ll quite suddenly find yourself underground in the Fairyland Caverns. Ultraviolet light illuminates misshapen gnomes and elves as they peer down at you from all sides. Prerecorded children’s voices chanting nursery rhymes float through the dark hall as you pass intermingling storybook dioramas. Just as suddenly as this underworld enveloped you, you’re out in the thick Georgia air. It may have been the most freakish thing you’ve ever seen, but like any place of power, you’ll be inexplicably drawn back to see it again. So did you find what you actually thought to be the World Tree? A friend and I are plotting a possible road trip but we won’t have all the time in the world to drive around Virginia and your description of different places to pass through in Virginia got me thinking that you might have actually found what Gaiman used as inspiration. Unfortunately, Josh, I never have seen the tree. Of course, that doesn’t make threading through the back roads of Virginia any less satisfying (well, maybe a little.) It’s really one of those rare opportunities where you really get to wander with the barest sense of destination, since even the most spontaneous roadtrips get hi-jacked by a sense of needing to get somewhere. Good luck, and feel free to send along a photo or two from the trip. Cheers! The Mabel Tainter Memorial Theater was built to include the Menomonie Public Library until fairly recently. They still have the old card catalog in the reading room. Just got back from Cairo and took a few photos thought the town is even more depressing than it is described in the book. I think I may have found and photographed the funeral parlor that Gaiman used for inspiration if it is indeed a real place. And as for the World Tree, I went to Virginia Tech in Blacksburg in the early 80’s and spent a lot of time exploring the backroads in that part of the state and it quite literally could be anywhere. Some friends and I built a Huck Finn style raft and attempted to float the New River but broke up on a waterfall near Radford and the whole lot of us contracted hypothermia right before final exams. We beached the remains of the raft, walked for a mile or so along some train tracks and finally found a backroad and hitchhiked back to campus. In subsequent years we tried to find the raft again. It took me 10 years to find my way back there and that was a place we’d actually been once. So finding the World Tree without much description truly would be like finding a needle in a haystack. Probably harder than a needle in a haystack. Like finding one particular piece of hay in a haystack. Let’s just say you would be ill-advised to try rafting the New River in April when it’s still ice cold! Pingback: Divatology » Blog Archive » The Road Less Traveled. In the notes for the book, Gaiman thanks Dr. Dan Johnson for flying him around northern WI. There is a Dr. Dan Johnson MD in Menominie, WI who is an experienced pilot, so it’s likely Gaiman spent some time in Menominie. There’s also a cafe there that serves pasties, a food uncommonly found outside Michigan’s UP (as is noted in the book). I grew up in Menomonie and can confirm that Neil Gaiman owns property and his youngest daughter Maddy lived here. I was in her high school graduating class and have seen Mr Gaiman on several occasions. How much did you end up spending on this trip? I’m planning on taking a similar trip and trying to figure out the cost of the trip. I’m sorry this took me so long to get back to! I actually pieced this together from several trips I’ve made cross-country. The biggest expense is going to be accommodations. The difference between hotels, camping, and just dirt-bagging it by sleeping in your car in parking lots is astronomical. With fuel prices relatively low, I’d say the median expense would be between $1,000 and $2,000 USD to hit all of the destinations including wandering around Virginia’s countryside. Obviously, if you like high-end room-service, expenses can be WAY higher. I am also a Virginia Tech alum and spent a few years living in Blacksburg (from 2009-2011, not that it has anything to do with my ability to locate the World Tree…). I am just reading (i.e., listening to the audiobook) American Gods for the first time and needless to say, I got excited when a mention of Blacksburg, VA seemingly came out of nowhere! Anyway, there is another clue in that section of American Gods that might point the way, and I have an interesting theory. Searches for those two roads turned up nothing promising, but there was an obscure result linking Squirrel Spur Road (not Rooster, but still an animal) and Meadows of Dan, VA (a possible location noted by Arteries of America in the original post). Arteries of America suggested starting in Hillsville, VA and working east — essentially covering a stretch of Virginia an hour directly south of Blacksburg. Similar to Rooster Spur, there were no promising search results for “Pennywinkle Road Virginia.” However, a search for just “Pennywinkle Virginia” did return an extra obscure result for Pennywinkle Creek, VA, which is apparently located in Max Meadows, VA (although I could not find such a creek on the map so it might not even be real, but bear with me). Gaiman did write that they had to drive for ALMOST an hour south from Blacksburg, and Max Meadows, VA is 50 minutes from Blacksburg (probably close to an hour if you had to double back once or twice). Now, geographically, Meadows of Dan is due south of Blacksburg whereas Max Meadows is more southwest, so in that sense it doesn’t quite fit. But anyone who has driven on I-81 in western Virginia can tell you that you’re not actually driving north or south, but rather northeast (toward Maryland/Pennsylvania) or southwest (toward Tennessee). Max Meadows may be geographically southwest from Blacksburg, but to get there you would have to drive about an hour on Interstate 81 South…. Wow, Megara! Definitely sounds like a reasonable theory and worth exploring further. I’d love to check that out at some point. Thanks for the info! Let’s just hope the tree hasn’t been cut down in the last 15 years! ah for the mermaids of Weeki Wachee.